Summer is finally coming in Switzerland. Winter was too long. I love eating sorbet all year long, especially in winter covered with a large blanket in from of the tv. 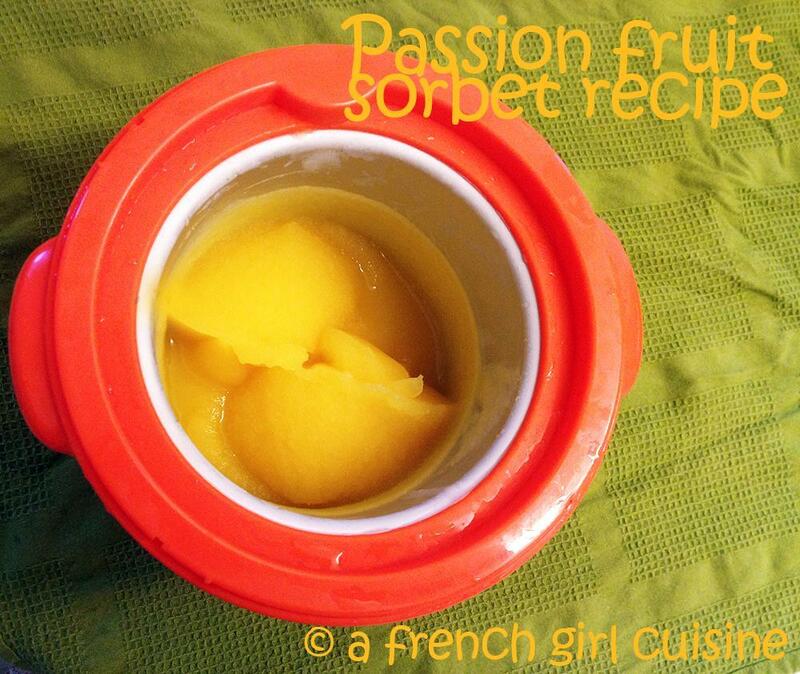 Today I am sharing with you a delicious passion fruit sorbet recipe. Bring water and sugar to a boil to make a sirup. Open passion fruits and remove flesh. Mix passion fruit juice with cold sirup. 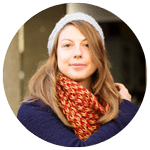 Wow this sounds delicious – I love passion fruit! With such bright and beautiful passionfruit, this sorbet really does look like summer. How refreshing! I love passion fruit. Must try your recipe! Linked your Passion Fruit Sorbet Recipe in my latest post Two-Spoons Passion Fruit Charlotte. Thank you very much I will have a look!